A team from Garden Grove High School and a team from Roosevelt Middle School will be among four middle school and four high school teams that will compete for top bragging rights at the MESA Statewide Wind Energy Challenge Championship on May 12 in Santa Barbara. The Garden Grove and Roosevelt students are served by the MESA center housed at The Henry Samueli School of Engineering at UC Irvine. These future engineers advanced from preliminary and regional contests and beat out hundreds of other students to participate in the Santa Barbara event. The winning high school and middle school teams will represent California in the national championship in Washington next month. The Garden Grove team members are: 10th graders Sam Gregory, Michael Tran and Severin Zaluzec. They are led by MESA advisor Hon Shiu Costello. The focus on wind energy signifies MESA’s goal to stay current with science, engineering and technology trends. The project teaches students to understand design principles such as torque, generating and storing wind energy as well as how to think like environmental scientists. The wind energy project is part of MESA Days, a yearly showcase of students’ math and science know-how. Through MESA and MESA Day competitions, students can explore future careers in science, engineering and other technical fields. MESA is an academic preparation program that serves more than 21,000 California pre-college, community college and university students who are educationally disadvantaged. Seventy-four percent of MESA high school students go to college after graduation compared to 41 percent of all California students. 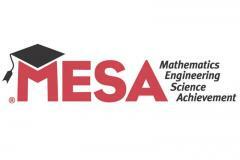 Sixty percent of MESA high school graduates go on to college as math, engineering or science majors. For more information about MESA visit http://mesa.ucop.edu/home.html.